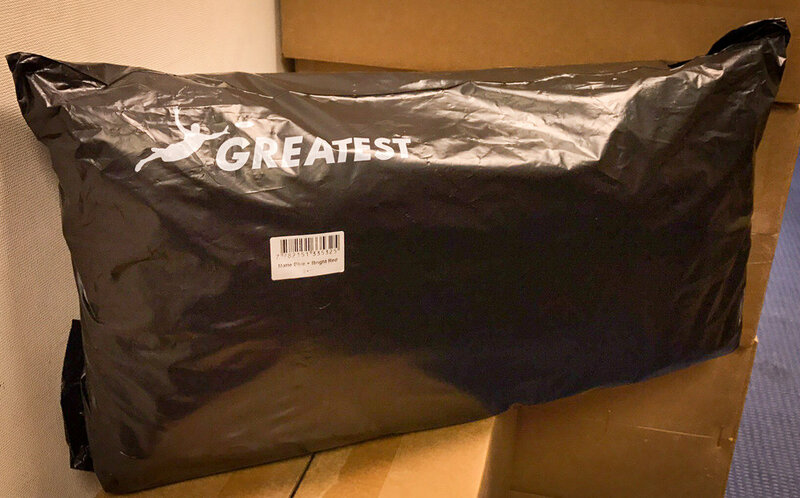 Your Greatest Bags are on their way! Over the past few days we've begun contacting some of you with tracking numbers, but to speed up the process we set up a website where you can find your tracking number using your email address. Please go HERE, enter your email address, and then use that tracking number to check your shipment's status on the appropriate shipper's website (USPS for US buyers, Singapore Post for buyers outside the US). Please note, the bags are moving, but your tracking number may not be in their system yet. If you don't see any results, please wait a day or two and check the status again! Please also note that, depending on the specific rules in your country, import duties or other charges may apply. The local delivery person may call you at the number you provided to arrange shipping, so if you see a strange phone number, answer it! Thanks again for your support of the project, and for your patience while we made these the greatestest Greatest Bags yet! And if we might ask just one more favor.. please like/follow us on social media at the links below, and after you receive the bag and take it along to your practice/tournament/hiking/picnic/wedding/etc, please snap some photos, share them on your social media and tag us! As a small ultimate startup we depend entirely on word of mouth from ultimate players like you, so thank you for helping us get the word out! Have a Greatest fall (or spring) season!